Do you try to control during conflict, or are you conflict avoidant? Neither works well to resolve conflict. Discover what does work! "When I approach my partner to address an issue, he only sees me as controlling and creating 'controversy'. He can barely stand in the room for more than a minute…and it ALWAYS escalates into a big frustrating fight. It seems IMPOSSIBLE to deal with any issues with this man. What do you suggest?" Leslie, I suggest that, instead of discounting what your partner says about you being controlling, you go inside and be honest with yourself regarding your intent. Are you certain that when you address an issue with your partner you are truly open to learning about his very good reasons for doing what he does and about why it is upsetting to you, or are you trying to get him to change? If you are trying to get him to change, then this is why he sees you as controlling. The fact that it always escalates into a big fight leads me to believe that you are trying to control rather than learn. If you were truly wanting to learn, then if he became resistant or agitated, you would move into an intent to learn about why he was feelings this way, or you would disengage rather than fight. "What is the best way to handle a conflict when one or both of a couple gets so full of rage that the conversation devolves into a fight?" Daniel, the best thing to do is to disengage. You might need to learn stop and breathe in order to remember to disengage. When one or both people are full of rage, no learning or resolution can occur. Fighting when enraged gets you nowhere and can be very hurtful to your relationship. It's best for each of you to be alone and do some inner work on your own feelings. When you are each clear on what triggered you into rage, and are open to learning, then you can come back together and talk about the conflict with an intent to learn. Fights are generally about controlling rather than about learning, and are often a waste of time and energy. "I have a big problem with conflict. I simply dread being in conflict with someone and even more so with someone who represents authority or knowledge. If I can, I'll just choose the flight response... The simple idea of expressing a disagreement or a different opinion from such a person (teacher, doctor, boss, mother...) fills me with dread. Faced with the "disapproval" of the other person I tend to feel completely inadequate and inarticulate. If I feel like I am under attack, I feel like it is impossible for me to gather my mind around myself to defend myself or my opinion. When I was little, there was no room for discussion with my mother: "Don't talk back to me!" was her motto, and I know that I was actually scared of my mother. My mother did the best she could, coming from her own issues; I am not here to blame her but I'd like to know how I can get out of this pattern, how I can get back my voice and my connection to my feelings so that I can deal with conflict in a healthier way, so that I can actually stand up for myself." Cheryl, first you need to do some bodywork such as EFT (Emotional Freedom Technique), EMDR (Eye Movement Desensitization and Reprocessing) and/or Somatic Experiencing. These techniques will help you not get triggered into the old fear – the deer in the headlights feeling of your childhood. 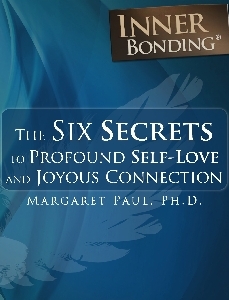 Along with this, you need to learn and practice Inner Bonding to develop your loving Adult self. Conflict is triggering you into a child state and you need to learn to stay in an adult state in order to be able to speak your truth. Conflict is challenging for most of us, and in order to be able to be an adult with an intent to learn, rather than a child with an intent to control or avoid, we all need much practice in learning to maintain an adult state in the face of conflict. Looking for help with The Challenge of Conflict? 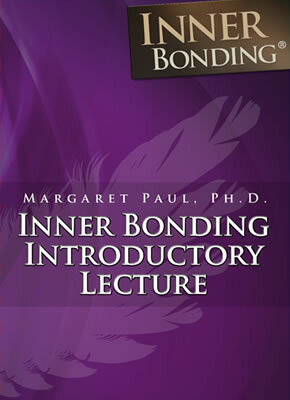 Search for solutions on The Challenge of Conflict within the InnerBonding.com website using Google's Site Search.